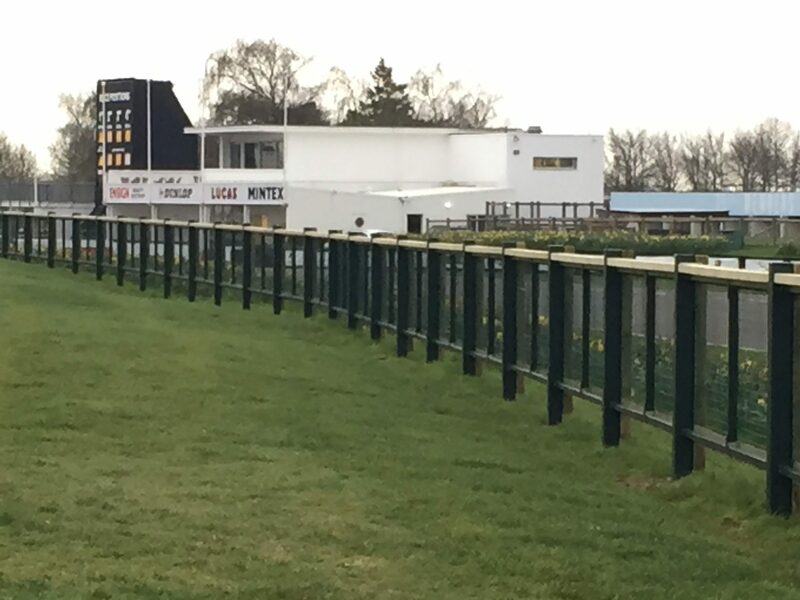 We have designed and installed bespoke spectator fencing at Goodwood Motor Circuit. This fencing project has very unique specifications. We were asked to create fencing that was in keeping with the period theme of the famous racetrack and that complied with strict Motor Sports Association spectator safety guidelines. Goodwood Motor Circuit hosts a range of motor events throughout the year, including the world-famous Goodwood Revival and regular track days. This means that spectator fencing not only has to have a specific look but also has to fully protect hundreds of thousands of visitors. The first stage of this job was to design the fencing based on images produced by Goodwood Motor Circuit. Using this direction, we created a series of fencing samples that we constructed in accordance with Motor Sport Association guidelines. Once a design had been agreed upon, we manufactured the fencing. Each section of fencing comprises a galvanised steel box frame that is polyester powder coated in a distinctive green specifically chosen by Lord March. The fencing sections are clad with plastic-coated weldmesh. To create the period effect, the side of the fencing that faces the famous racetrack is clad with specially machined half-round treated timbers, which gives the look of a timber fence from the trackside. Working closely with the Goodwood Motor Circuit team, the first phases of the new bespoke spectator fencing have been completed.